​FLOWER MOUND – A development firm has been given the green light by the Town of Flower Mound to build a 12-acre mixed-use neighborhood adjacent to Lakeside DFW, which includes a five-story, 134-room hotel. The mixed-use development, called Lakeside Crossing, will sit on the west side of Long Prairie Rd. near the intersection of Lake Forest Blvd. The property will include about 100,000 sf of retail, office and restaurant space with about 15 luxury townhouses. 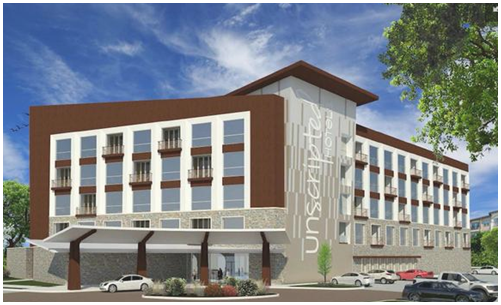 The Unscripted DFW hotel will include 134 guest rooms and suites with nearly 4,000 sf of meeting space, a full-service restaurant and a rooftop lounge for guests.